An all-season version of their iconic shirt, the Filson Lightweight Alaskan Guide Shirt is made with a 5-oz. cotton that's pre-washed for a broken-in feel and vintage appearance. A pleated back and relaxed fit provide a full range of motion through the shoulders. This versatile shirt is built to last through years of wear. 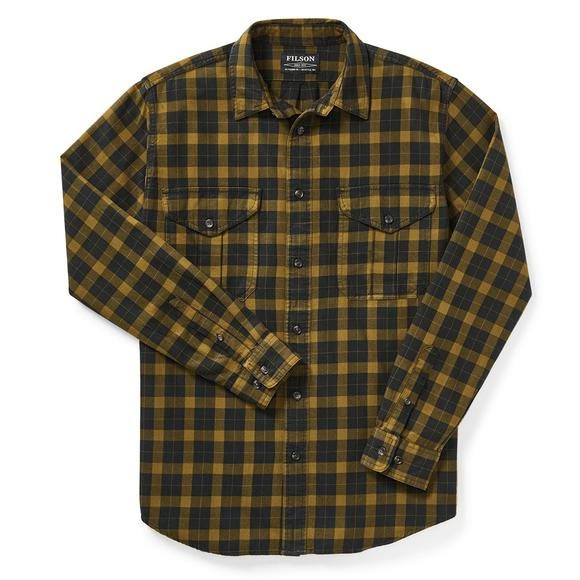 An all-season version of their iconic shirt, the Filson Lightweight Alaskan Guide Shirt is made with a 5-oz. cotton that&apos;s pre-washed for a broken-in feel and vintage appearance. A pleated back and relaxed fit provide a full range of motion through the shoulders. This versatile shirt is built to last through years of wear.